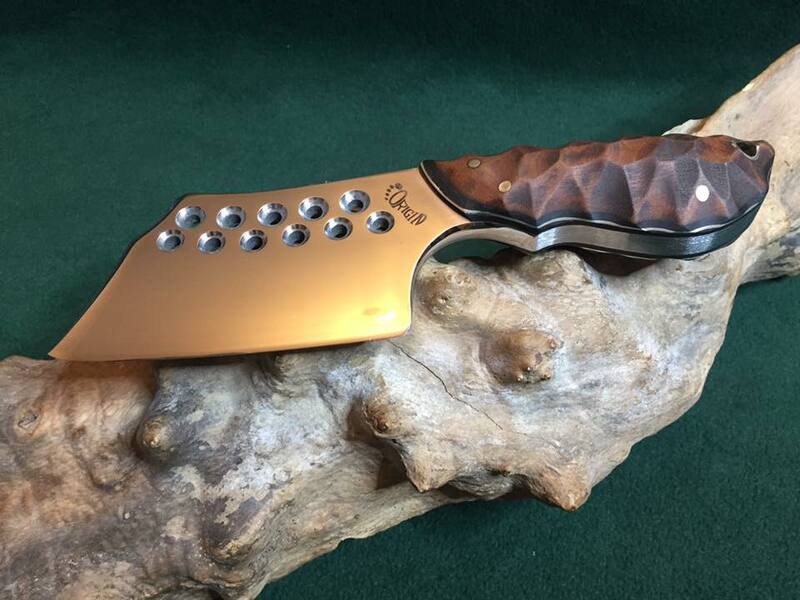 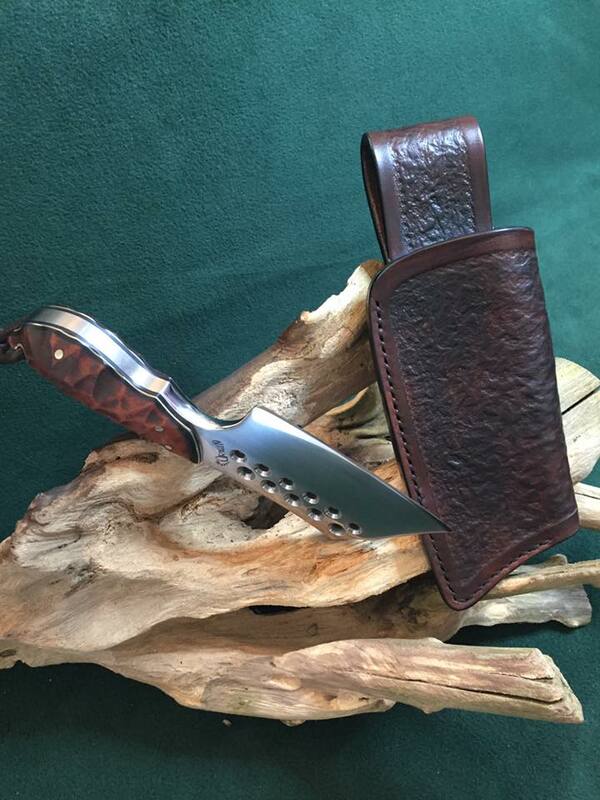 A Mini Cleaver in O1 carbon tool steel 8mm in thickness and is fully convex ground. 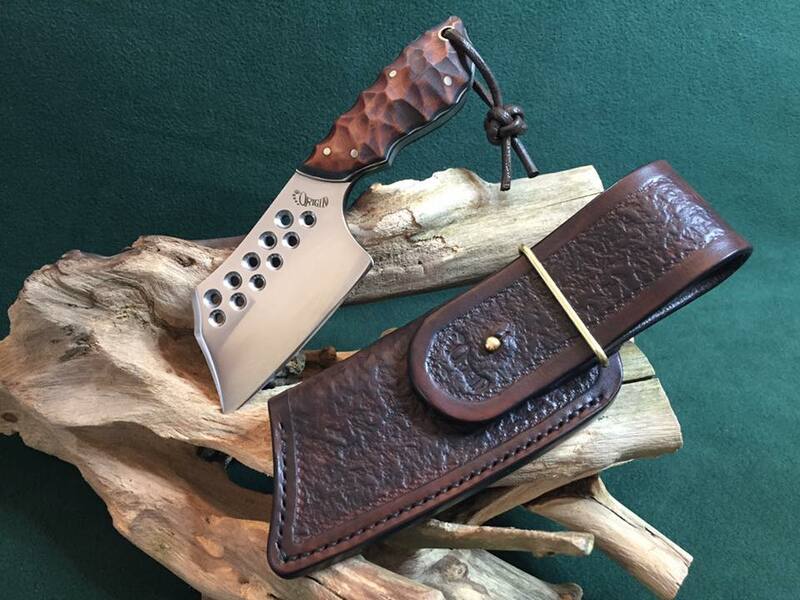 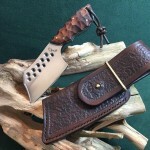 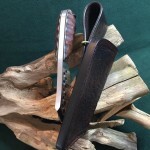 The brown micarta scales are on Nickel Silver and black liners with the tube and pins to match. 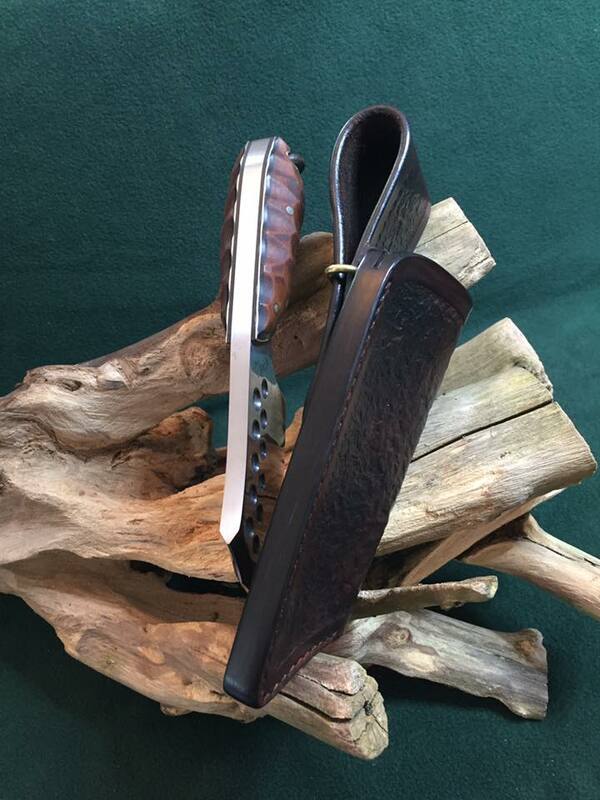 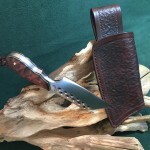 A leather sheath of oil dyed veg tan in 4mm thickness has been hand tooled and stitched. 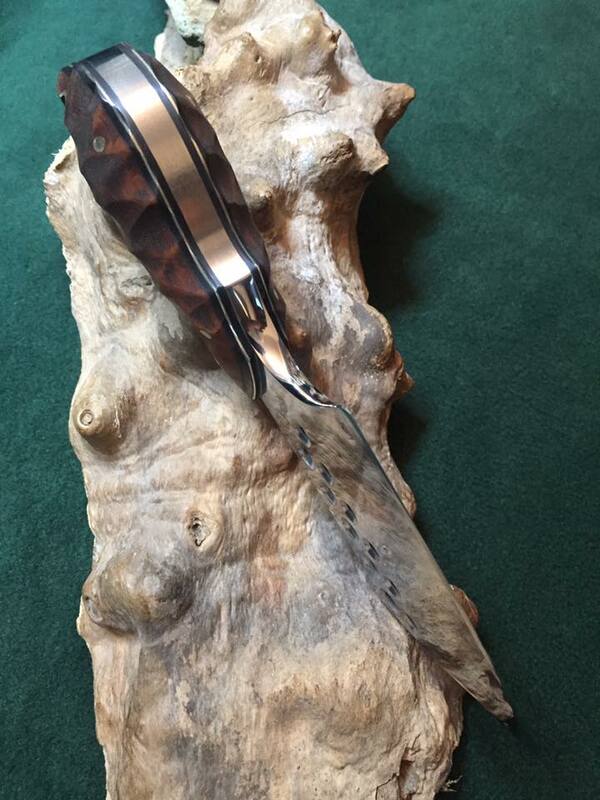 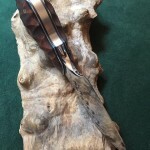 The Sam Browne stud and retainer loop are of brass.